Home / Bitcoin / cryptocurrency / Economics / Are You Panic on Bitcoin and Other Cryptocurrency Investments? Are You Panic on Bitcoin and Other Cryptocurrency Investments? Bitcoin, the world’s biggest and best-known cryptocurrency, is currently trading at less than $11,300, according to CoinMarketCap - down from a high of more than $12,000 yesterday (January 28). Its coin market capitalisation is now hovering around the $190billion mark, which is far below its December peak of nearly $335billion. Bitcoin’s growth looked unstoppable last month, when it surged from less than $3,000 to nearly $20,000 in just a few months. But the entire crypto market has faltered since the start of the year, with bitcoin’s closest rivals Ripple and Ethereum also struggling. BITCOIN has plummeted some $12.5billion from Sunday’s high as the cryptocurrency continues to struggle to maintain its growth. But why is bitcoin crashing today? These struggling are common every starting on the begining of a year, Have you check the graph you can underestimate the facts. 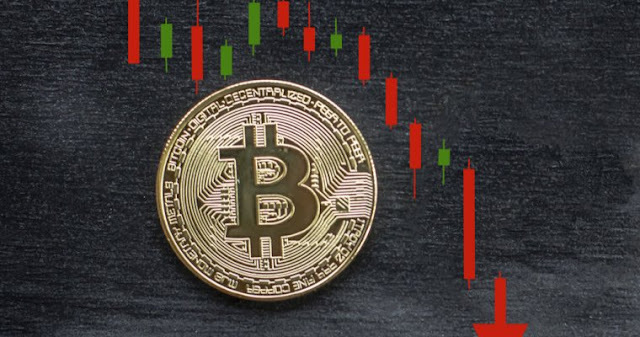 Another reason for bitcoin’s woes could be a spate of recent hacks and threats from a number of governments that crypto trading could soon be heavily regulated. It was revealed last week that hackers have been exploiting YouTube’s advertising service by targeting users to mine cryptocurrencies, including bitcoin. These all things are temporary issues, few months later it'll be solved. Regulating meanse legalising..., If anything governmet regulate then it'll not get ban but legal securing. Probably at the begining of february the coin market will up like a jet. The panic sellers will sell all their cryptocurriencies and the wise on buy then hold longterm for minting.